Apple products are best known for their user-friendly interface and unique features that users enjoy exclusively. In 2013 alone, iPhone users topped the mobile user index by a whopping 41.8%, according to data from comScore MobiLens and Mobile Metrix. From wireless efficiency to interactive essentials, Apple raised the bar against its competition and continued to be one of the most trusted brands in the tech industry. 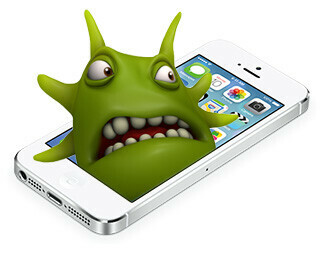 Unfortunately, the iPhone, iPad, and iTouch are not susceptible to bugs and errors that affect usage. With Apple’s large share in the mobile market, there is a great chance that sales of iOS 7 gadgets will be affected if the bugs are not addressed, or, even better, fixed. Not long after the release of iOS 7 and the iPhone 5, tech-savvy users pinpointed some problems with their new units or iOS 7 updates. In response, Apple offered to replace units with iOS defects that can’t be fixed. There are, however, a few tricks that you could try before you rush to your nearest Apple store and demand device replacement. Here are the top seven iOS 7 errors you might encounter and the appropriate solutions for them. New, handy features introduced with iOS 7 can help users in everyday activities. However, the gyroscope, accelerometer, level, and compass functions were reported to be inaccurate or unresponsive due to an iOS glitch. The October update for iOS, iOS 7.0.3, claimed to have fixed the problem, but if your unit still experiences the said malfunctions, you could have your local Apple Store take a look. As promised, Apple will have the unit replaced if they can’t fix the issue. Taking pictures to record memorable events has been a norm for mobile users given the high-definition pixel rate of iPhone cameras. Some however complain of green dots that appear onscreen when activating the rear camera of their units, or a purple haze that covers the screen when the front camera is used. This is not a glitch. The camera sensors are only reacting to the lights at your location. To eliminate this, you can try covering your lens or changing angles to avoid the light permeating your subject. Head to Settings > General > Reset > Reset All Settings. Access Settings > iCloud > Toggle Documents & Data off then on again. Then reset the phone. Apple advertises the iPhone 5’s battery life at an efficient 10 hours, at max. Unfortunately, some iPhone users are experiencing a short-lived battery life of just 2-3 hours after charging. This may be a factory defect and Apple is open to replacing units, or it might be the glitch in the battery processing of the updated iOS 7. The good news is that there are many things you can do to minimize power usage. Apple may have fixed this problem with the newest iOS 7 update. Always update to the latest version of iOS 7. Check for app updates, too. This unique access to iPhones is being flagged by some users. There are two factors to consider with this problem: Are your fingers and the Touch ID sensor clean? Have you updated your iOS? Quick tip: Scan the center, not just the top edge, of your fingers to secure data registration. Most complaints with this app usually concern not being able to recognize non-Apple devices. Recently, more issues were flagged, including disappearing text messages or unsent iMessages. Resetting your phone’s network settings might do the trick. (Go to Settings > General > Reset > Reset Network Settings.). Just when you thought you could escape the clutches of this PC menace, surprise, surprise, it’s on your iPhone, too. Reports have attributed app crashes to unresponsive screens. To fix this, you could try this: go to Settings > iCloud > Documents & Data > toggle off Pages, Keynote and Numbers; or you could always revert to the Home Screen before switching to other apps. If you have followed the recommended tips and still have recurring problems with these iOS 7 functions, you can always contact Apple customer service. Better yet,take your phone to an Apple Store or an Apple-accredited retail store like MacMall. Drop by our branches at Santa Monica, Chicago, Torrance or Huntington Beach and let our experts take a look at your unit and give you their professional recommendations. Visit macmall.com for amazing deals and limited offers that will surely suit your tech needs. Previous story Should you upgrade to the 2014 MacBook Air?